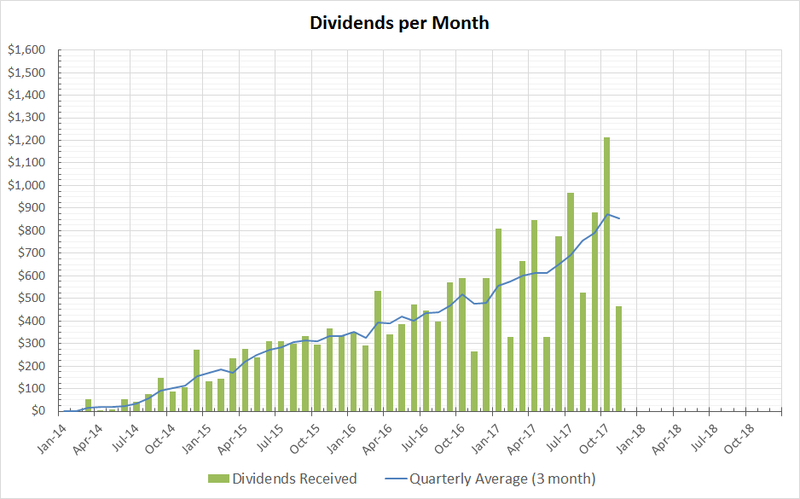 November dividend received was $465. Below is the breakdown. Note that TJX usually pays in December. For some reason they paid out at the end of November. The HRL's dividend are the vestiges from fractional shares after I sold off the position. November is a light month for me. Not many companies I own pay in November. Nice! I think that money will come in handy before the Christmas Holidays season. But it's indeed quite strange that they are paying in November, and not in December. Maybe it's just the way how they are doing the business? If you are aware, you can check a review of PhDify.com. You can find there if they are trustful company or not. I think it's quite a good idea.